Alluring elegance, lovely sophistication, glam charm... These highly inspirational pre-fall 2013 collections give me an excellent idea for the upcoming holidays or any other significant celebration. Simply perfect for those moments when we want to celebrate our feminine and seductive side, our entire beauty and personality which we work diligently on throughout the whole year, success in the life and achieved goals we are proud of... In each of these dresses/combinations I can clearly see myself. And now I'm asking you my pretty girls- how much are we actually alike? 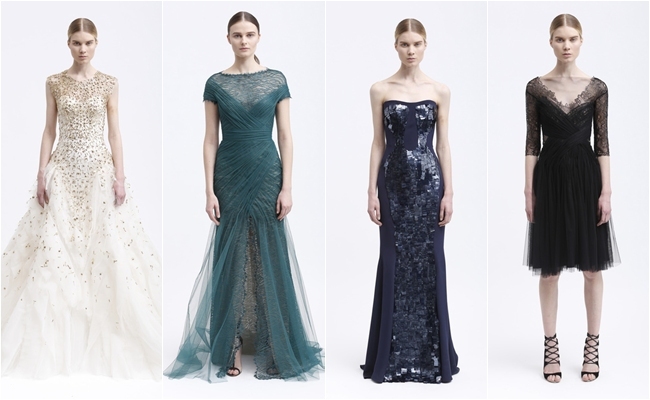 :) Do you find yourself in the following pre-fall collections: Herve Leger, Oscar de la Renta, Monique Lhuillier, Jason Wu, Prabal Gurung, Zac Posen, Carolina Herrera, Temperley London and Carlos Miele? Izazovna elegancija, ljupka sofisticiranost, glamurozan sarm... Ove krajnje inspirativne pre-fall kolekcije za 2013-tu daju mi perfektnu ideju za nastupajuce praznike ili bilo koje drugo znacajno slavlje. Prosto savrseno za trenutke kada zelimo da slavimo svoju zenstvenu i zavodljivu stranu, svoju kompletnu lepotu i licnost na kojoj marljivo radimo cele godine, dostignuca u zivotu i ostvarene ciljeve kojima se ponosimo... U svakoj narednoj haljini/kombinaciji ja jasno vidim sebe. I sad vas pitam drage moje- koliko ste mi zapravo slicne? :) Da li pronalazite sebe u sledecim pre-fall kolekcijama: Herve Leger, Oscar de la Renta, Monique Lhuillier, Jason Wu, Prabal Gurung, Zac Posen, Carolina Herrera, Temperley London i Carlos Miele? 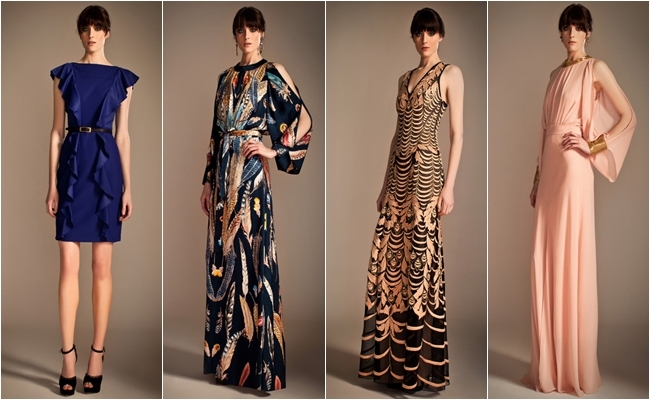 Temperley London is amazing, I love the dresses. All of these are very elegant and beautiful outfits. As much as I am an Oscar de la Renta fan, Temperley London takes the cake for me with these pieces. I guess I am drawn to Temperley London's simplicity. Sometimes, being and looking elegant doesn't mean wearing seriously over-the-top. I still fancy Oscar de la Renta as well as Zac Posen's work. All dresses are fabulous !! Zac Posenova indigo plava haljina me je definitivno ostavila bez teksta!!! So many beautiful frocks, I do love Herve Leger in a big way! Hope you're having a lovely weekend! I loved the oscar de la renta dress! Third dress from Zac Posen is so amazing! I like it so much! wanna follow each other ? just let me know!! Wow, all those dresses are stunning! Love the soft pink one in the first compilation! love all of the dresses! xO! Monique's stuff is stunning. Especially love the sleeves that look like the model has tatooed arms . . .